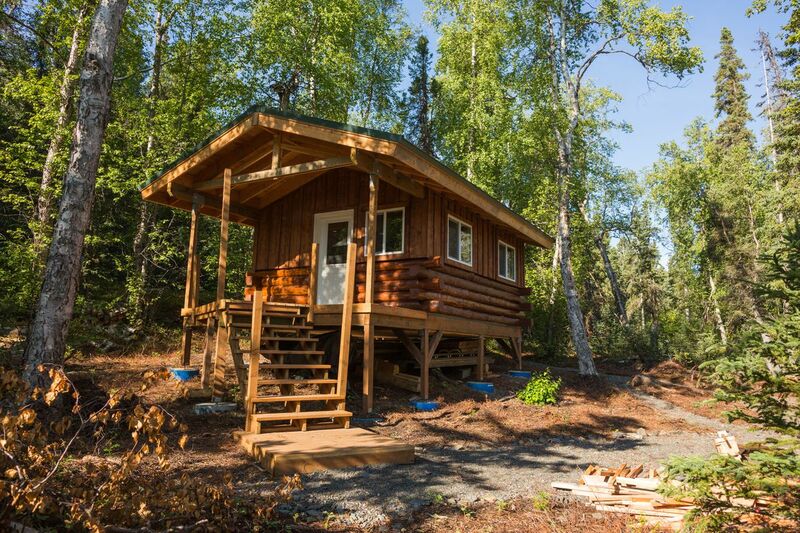 Want to rent a public-use cabin in Alaska this summer? Now is the time to make reservations. Sure, January has only just begun, but it’s time to start talking about summer plans. If those plans involve staying in a public-use cabin in Alaska, now might be the time to reserve it. Cabin reservations open up months ahead of time, and some of the popular spots go fast, especially if you want to stay a Friday or Saturday night. “Weekends book up quickly. So be the one who’s getting online seven months out and get it booked as quickly as you can,” said Ethan Tyler, director of the Division of Parks and Outdoor Recreation at the Alaska Department of Natural Resources. 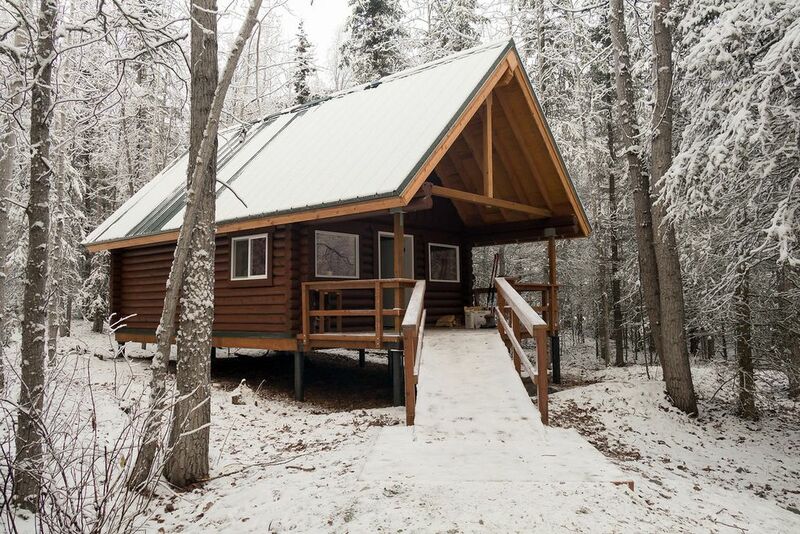 People can reserve Alaska State Parks cabins up to seven months in advance. Eyeing a cabin for Aug. 10? You can log onto reserveamerica.com as early as 12:01 a.m. Alaska time on Jan. 10 to book it. Make sure you’ve created an account first. Reservations for cabins in national parks, national forests and national recreation areas open six months ahead of time, generally at 6 a.m. Alaska time, on recreation.gov. You can also call 1-877-444-6777 to make a reservation. 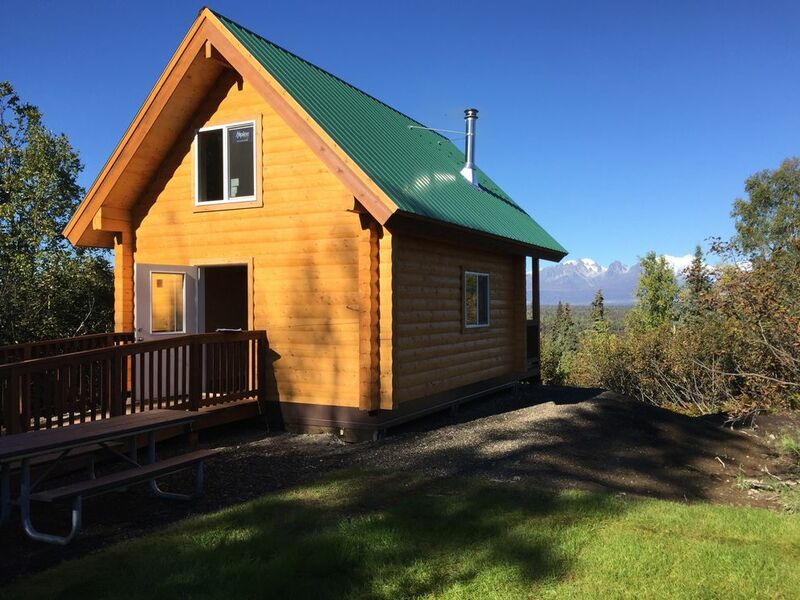 With cabin reservation season upon us, officials offered insight into popular and new cabins around Alaska, as well as tips for what to know before you go. Popular federal cabins on recreation.gov include the A-frame off Crow Pass Trail for $75 a night and the Dale Clemens cabin off the Lost Lake Trail for $50 to $75 a night. Alaska State Parks has 84 cabins and eight ice huts across the state, some you can drive to, some you can hike to and some accessible only by air or water. Prices range from about $45 to $100. 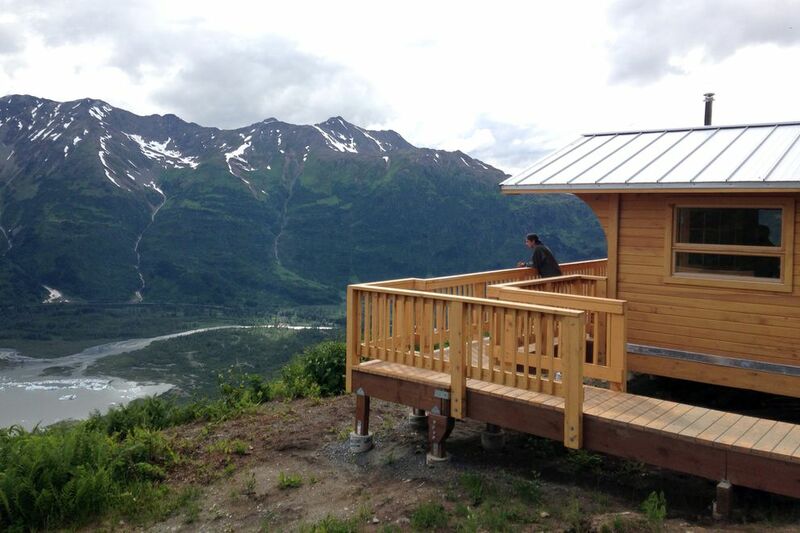 The newest Alaska State Parks cabin near Anchorage is the Rainbow Trout cabin at Eklutna Lake, said Kurt Hensel, superintendent of Chugach State Park and Wood-Tikchik State Park. The cabin opened in August 2018, sleeps up to eight people and costs $80 a night. The Rainbow Trout cabin is just south of the Dolly Varden cabin, another popular spot, Hensel said. The Dolly Varden cabin is right off the road, sleeps up to 12 people and costs $100 a night. Hensel flagged the Kokanee cabin as another favorite. There’s no trail or road to the cabin. You have to paddle about 4 miles across Eklutna Lake in summer or ski across the lake when it’s frozen in winter. The cabin costs $80 a night. 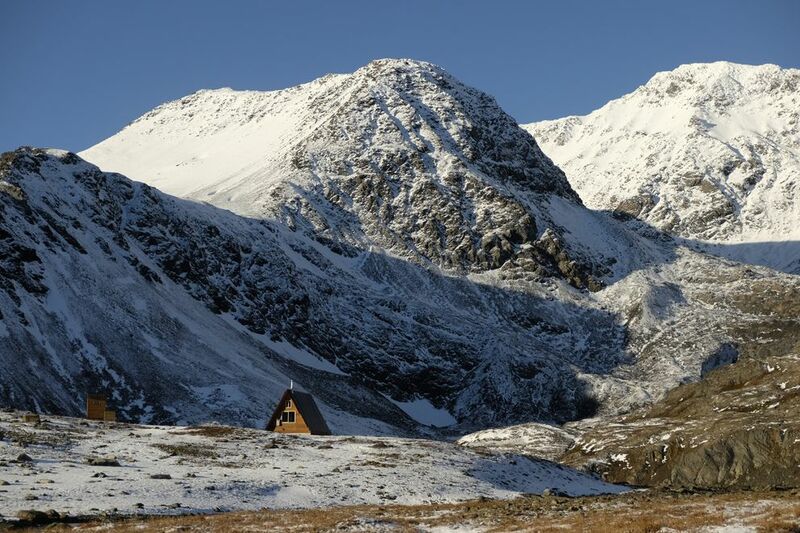 To the south, the popular Tonsina cabin often gets booked quickly, said Jack Blackwell, superintendent of the Kenai and Prince William Sound areas for Division of Parks and Outdoor Recreation. It’s about 2 miles from the Lowell Point State Recreation Area parking lot, just outside the city of Seward. It sleeps up to six people and costs $100 a night. Farther down the trail, the Derby Cove cabin and Callisto Canyon cabin, each $80 a night, are also popular. The two cabins can be reached by boat or on foot, though a portion of the trail can be hiked only at low tide, Blackwell said. North of Anchorage, Alaska State Parks has more than a dozen cabins in the Nancy Lake State Recreation Area. The newest: the Rhein Lake cabin. It opened in early 2018, said Stuart Leidner, superintendent of the Mat-Su and Copper Basin areas for the Division of Parks and Outdoor Recreation. You can drive to the cabin in summer. In winter, it’s about a 3-mile snowmachine, ski, snowshoe or dogsled ride, according to the reservation site. The three cabins at the K’esugi Ken Campground in Denali State Park and the three cabins at Byers Lake in the park are also very popular, Leidner said. Want to go more remote? Blackwell described the Midtimber Lake cabin as a “gem,” though it’s not necessarily easy to access. Located between Cape Yakataga and Cape Suckling, it’s reachable by plane out of Cordova or Yakutat, Blackwell said. The cabin sleeps up to 8 people and costs $70 a night. “It’s a pretty spectacular area,” he said. A cabin opened in 2018 on Afognak Island, near Kodiak, according to Ben Shryock chief ranger of the Kodiak area for the Division of Parks and Outdoor Recreation. Discoverer Bay Cabin has six twin bunks and is less than a mile from Portage Creek, which Shryock described as a “major salmon river feeding into Portage Lake.” It costs $80 a night. For more public-use cabins, check the maps at dnr.alaska.gov and recreation.gov. • Make sure you know what’s provided at the cabin, including whether there’s access to water and whether it’s outfitted with a propane stove or wood stove, Hensel said. Bring your own wood or propane. Bring enough clothing to get through the night without a potential heat source, just in case. Some other gear to consider packing: A lantern or other lights, a sleeping pad, a sleeping bag, a trash bag, toilet paper, matches or lighters and cookware. Cabin information is detailed on the reservation websites. • Research how to get to the cabin, including checking trail conditions, Leidner said. Alaska State Parks groups its cabins online by how accessible they are. • Be mindful that wildlife could be nearby. Control your pets and your trash. Pack out your garbage and everything else you brought with you, Hensel said.